The cost of living increases by a certain percentage each year based on inflation. For this reason, child support that may have been adequate to cover child related expenses may not be enough in future years. Parents receiving child support may therefore worry about how far the child support will go in future years and how they will make up the difference. In some cases, it is possible for a parent to have cost of living adjustments included within the order for child support. This means that the child support payments will increase each year based on the calculation included in the order. The consumer price index is usually relied on to establish the percentage increase to be used for the cost of living adjustments. Generally, the cost of living does not rise by very much annually. It may affect a parent receiving child support over a number of years. The cost of living, as measured by the consumer price index, should not be confused with changes to the children’s lives and interest that require the parent receiving child support to pay more for child related needs. If the children take up sports or other hobbies, need braces, or incur other expenses as they grow older, or inversely, if the cost of child care decreases because the child grows older, these are not cost of living changes. These changes may still be the basis of a petition for a modification of the child support order by either parent. 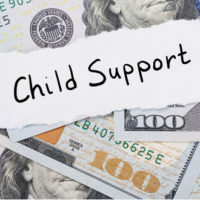 Without a built in cost of living adjustment in the order for child support, a parent seeking an increase would have to return to court and ask the court for a modification of the child support order. This can be expensive, and unlikely to be granted because the cost of living is not likely to increase by fifteen percent or more. In Florida, a parent can petition for a modification of child support only if it results in an increase of fifty dollars or at least fifteen percent of the order in place. However, not every parent who is required to pay child support will agree to the inclusion of a cost of living adjustment. A parent may not agree to this kind of clause because the parent’s salary may not be increasing at the same rate as the increase in child support payments to account for the cost of living. Even if a parent agrees, he or she may later seek a modification because of significant changes to income. Parents should remember that a clause allowing for cost of living adjustments could also mean that the child support owed could be reduced in a year when the cost of living decreases. If you think you may have grounds for a modification of a child support order, or want more information on how to seek a modification to account for changes in the cost of living, contact our experienced child support lawyers at the Law Offices of Schwartz | White in Boca Raton, Florida.